Our annual Harvest Festival has now grown to TWO weekends. Enjoy our long hayride to our PYO pumpkin patch. Climb our hay pyramid, get lost in our hay-maze, play games around the barn and upper lawn. Don't forget to pick up some lunch from J.S.K Cattle Co. Fun for the whole family. October 12th, 13th, 19th, & 20th. More details as the start designing this years maze! Our hayride takes you around our farm and ends up at the PYO pumpkin patch. Our PYO pumpkins have ever size of traditional oranges pumpkins including sugar and jack-o-lantern. Hayrides start around every 15 to 20 minutes, and are free! 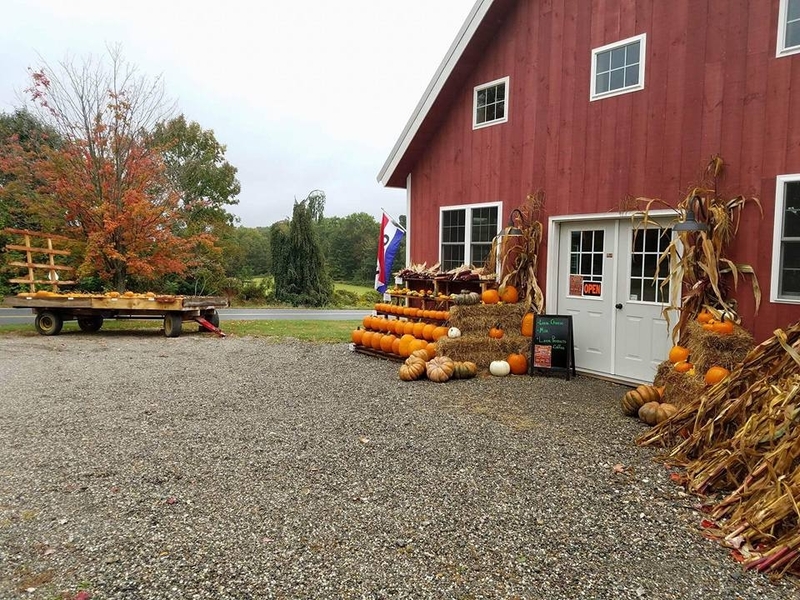 Down by our sugarhouse and front lawn, we have specialize pumpkins, including fairy-tales, gourds, ghost, warty, goose neck gourds, and mini orange pumpkins. Our front and upper lawns are full of games including bean toss, picnic basket toss, cosmic bowling, and pumpkin tic-tact-toe. Two-by-Two Petting Zoo sets up at the top of upper lawn. Be sure to see their great selection of animals. While waiting for a hayride, climb on-top of our hay pyramid! Or get lost in our hay maze, located on our upper lawn. First weekend, we will be cooking up a great farm to table lunch featuring local farms. The second weekend JSK Cattle Co. will be here serving up some of their famous beef dishes for lunch.